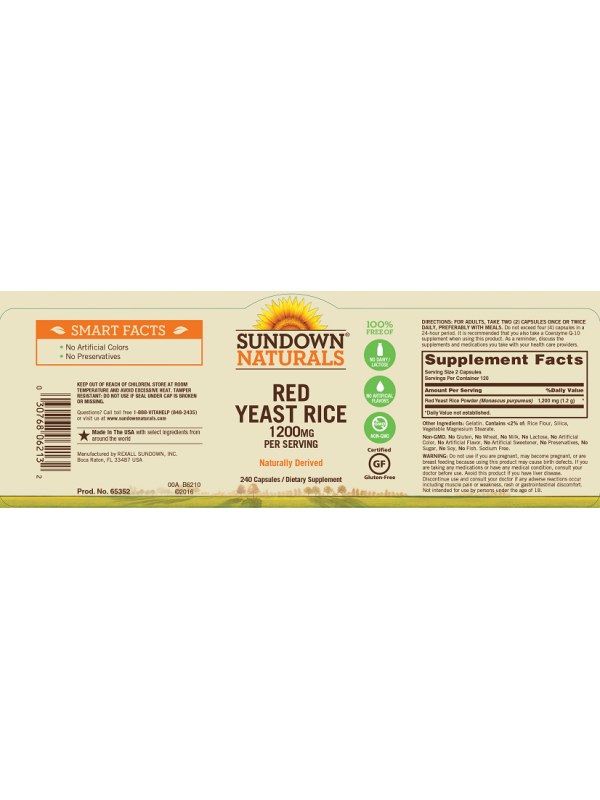 Sundown® Naturals Red Yeast Rice is a great addition to your diet. 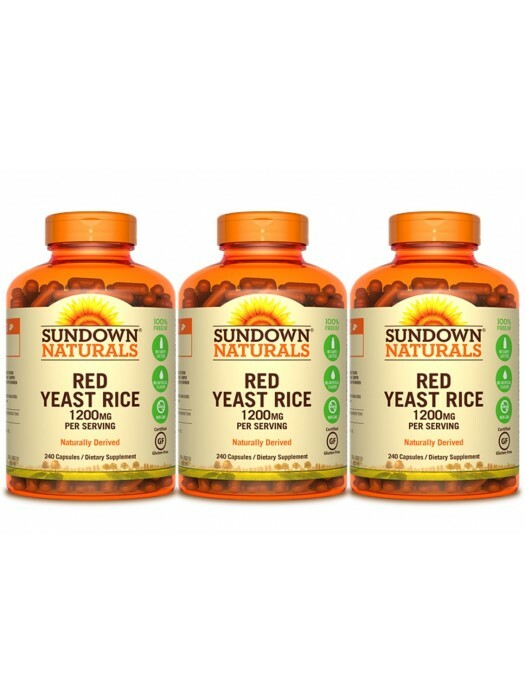 Red Yeast Rice has been cherished for thousands of years for its culinary usage, as well as its popularity in Chinese herbology, which utilizes plant extracts. The red yeast rice powder in our capsules is naturally derived. Take Two (2) Capsules Once or Twice Daily, Preferably with Meals.